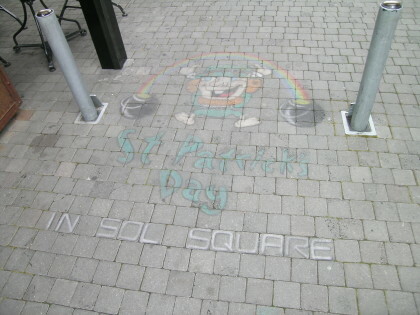 Chalk drawing celebrates St Patrick's Day events in Sol Square. 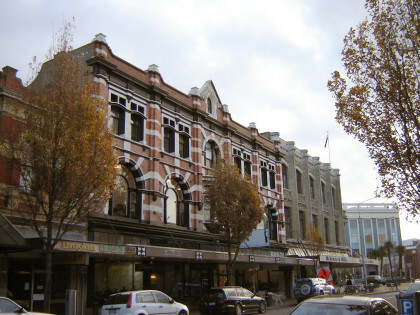 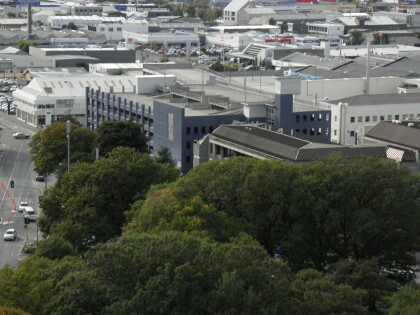 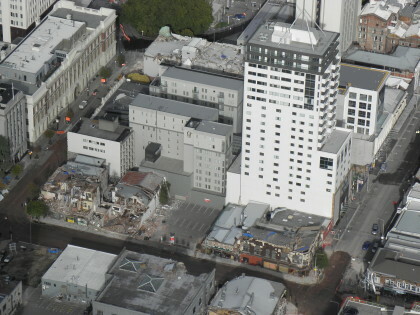 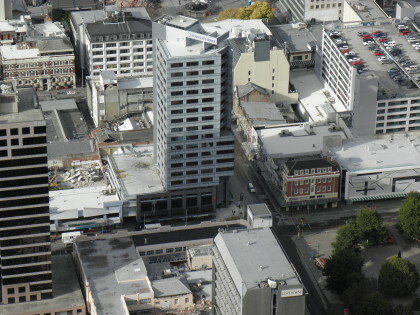 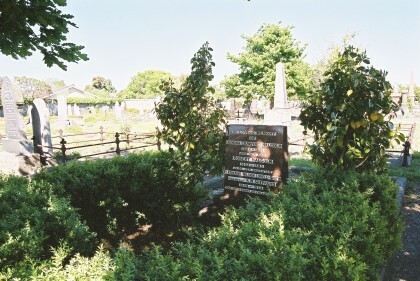 Carpark building on the corner of Antigua Street and Tuam. 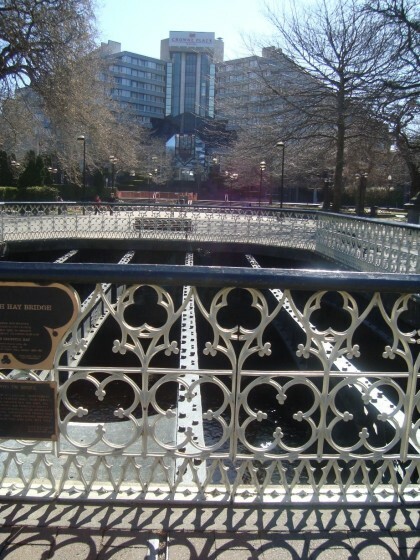 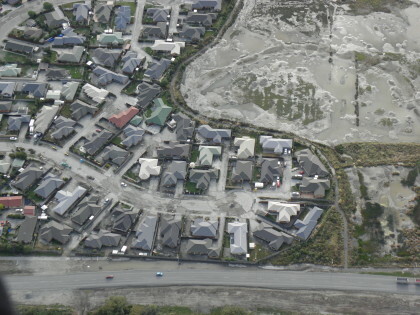 Effects of liquefaction and surface water evident. 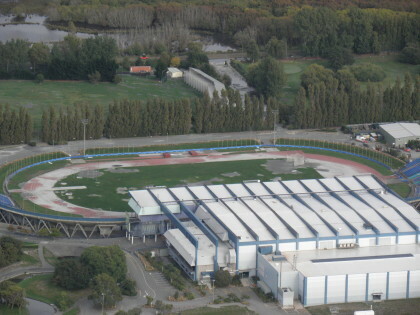 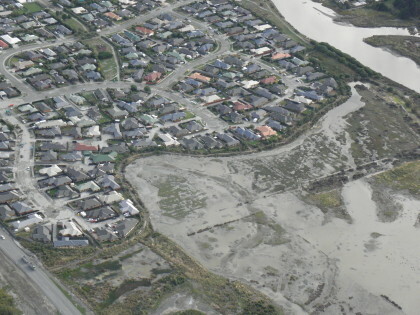 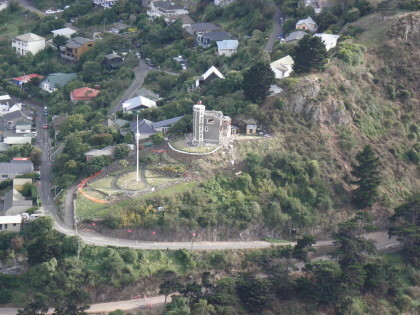 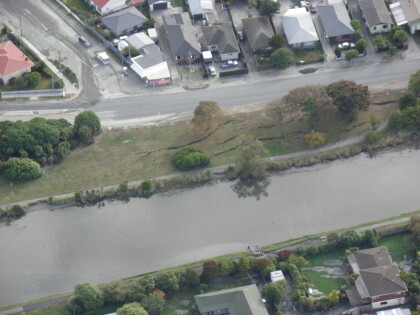 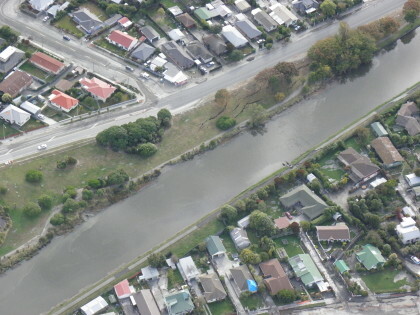 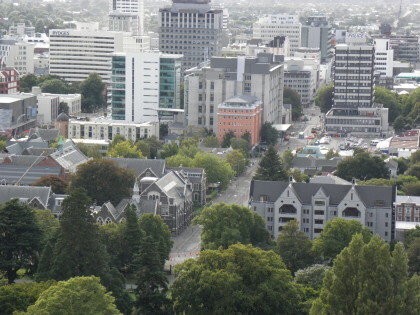 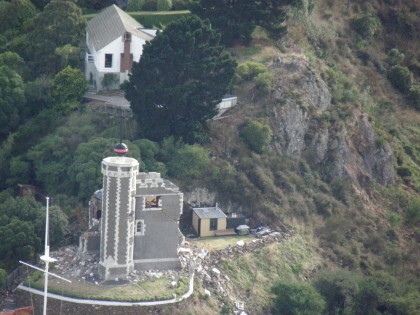 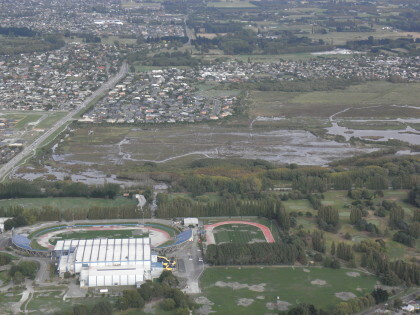 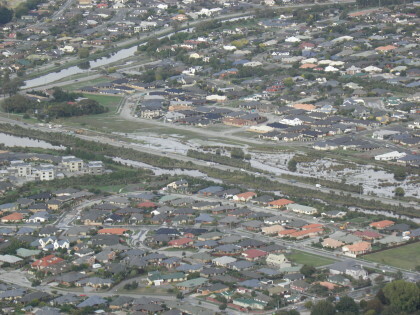 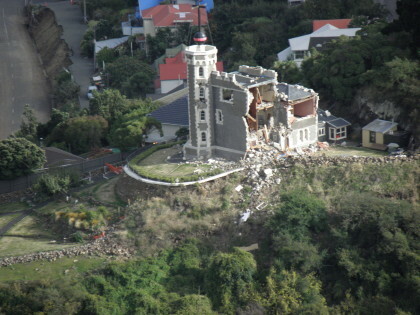 Aerial photograph showing liquefaction at Queen Elizabeth Park. 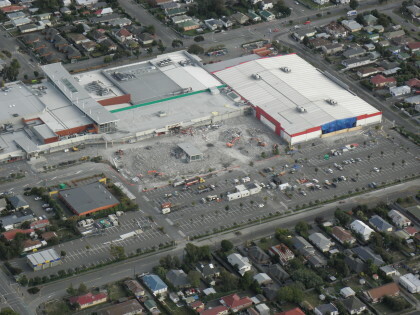 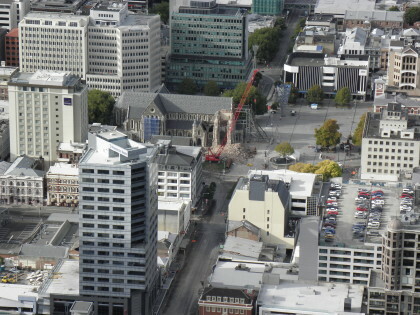 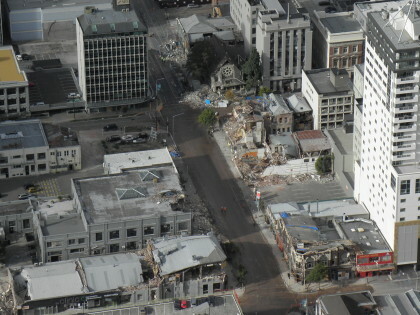 Eastgate shopping Mall two days after the earthquake. 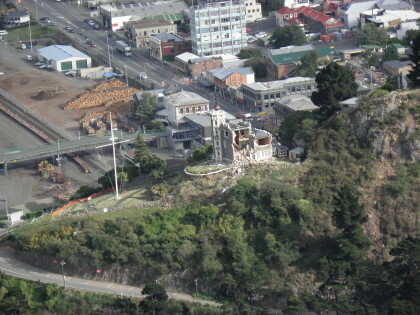 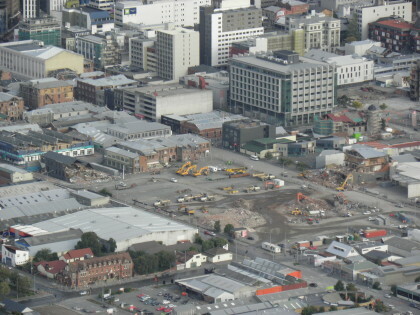 Demolition material and machinery storage at Barbadoes Street.